Check back in the Fall for Sports news! 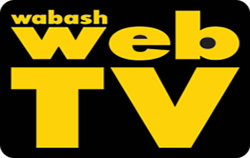 Be sure to check back here and on Wabash WebTV come the Fall for all your local sports news. Have a good summer! Most teams never make it to the state championship. The Northfield baseball team was one win away Saturday, June 15, from a shot at winning back-to-back state championships. The 2012 state champions were taking on South Spencer, who was the 2011 state champs. Without the services of first baseman Joseph Ross, who reported to the Army after the semi-state, plus knowing it would be the last game Norse coach Tony Uggen would coach at Northfield after announcing he was taking the athletic director and baseball job at Blackford, one would wonder what the effects would be. The usual hard hitting Norse would collect just four hits in the game, while starting pitcher Ryan Keaffaber would struggle as South Spencer pulled off the upset in a 3-2 win over Northfield for the state title. Shea Beauchamp, Wabash and Ryan Keaffaber, Northfield, have been selected by the Indiana High School Baseball Coaches Association (IHSBCA) to play for the North All Star team. The three game series will be played July 12-14 at Wabash College in Crawfordsville. Local players to make the TRC All Conference Baseball team were recently announced. Pitchers were Ryan Keaffaber, Northfield, and Roger Davis, Wabash. Infielders were Collin Dawes, Northfield, Andy Maggart, Northfield, Shea Beauchamp, Wabash, Landon Cole, Wabash, and Isaiah Smith, Wabash. THE NHS baseball team bus and fan caravan will leave Northfield High school at 10:30 Saturday morning and drive through Wabash on HWY 13. Supporters are encouraged to line the streets with signs and banners or to just show support as the caravan goes by. Let’s support our local 2A defending state champs on their way to Victory Field on Saturday June 15. GO NORSE! The Northfield baseball team took another step forward in pursuing the defense of their state title from a year ago, by winning the Kokomo semi-state game Saturday. On the arm of Ryan Keaffaber and some early offense the Norse grounded the Adams Central Flying Jets 5-1. Being the visitors, the Norse wanted to get a good start and did just that in the first inning. Collin Dawes led off with a single and was sacrificed to second on an Adam Roser bunt. Ryan Keaffaber then singled home Dawes to give the Norse an early 1-0 lead. Keaffaber was then picked off first. 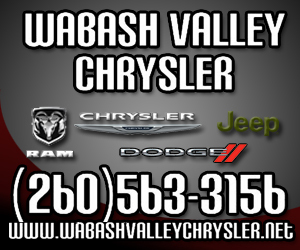 The Wabash boys golf team participated in the Warsaw regional, ending their season placing 17th with a team score of 350. Jordan Blair led the way with an 80. Jack Leland fired 86, Jack Stein 88, Parker Harner 96, Josh Provance 101. The Apaches were the sectional champions at Rock Hollow. The NSA held a 31-team tourney with three different age groups at the Field of Dreams Saturday and Sunday. We captured several Wabash County players in the tourneys as the Shock from Manchester had teams in the 12 and under and 14 and under divisions. Also in the 12 and under was Allie Keaffaber from Northfield, her sister Abby in the 14 and under and Montana Castro played in the 16 and under.